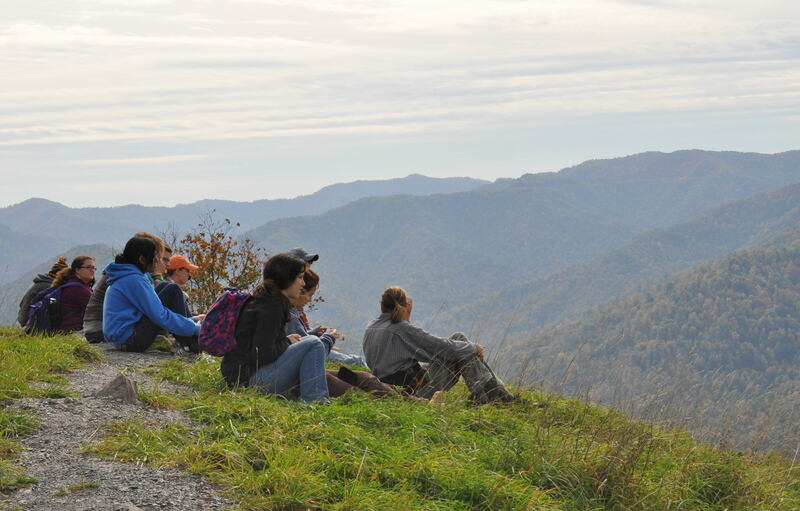 Over fall break, an environmental studies class took a trip to Ohio and West Virginia to see first-hand the culture and effects of coal and mining. This was my first experience with this kind of “immersive” environmental experience. I did not go to Power Shift; I’ve never even been camping. Basically, I’m a plant fanatic with a passion for gardening, propagating, and moving turtles from the road, but I’m also one of those people who see road kill and tear up. I’ve always wondered why humans think they are the culmination of the universe’s goals; I’ve always questioned what right we truly have to dictate the destination of Earth and her tenants. 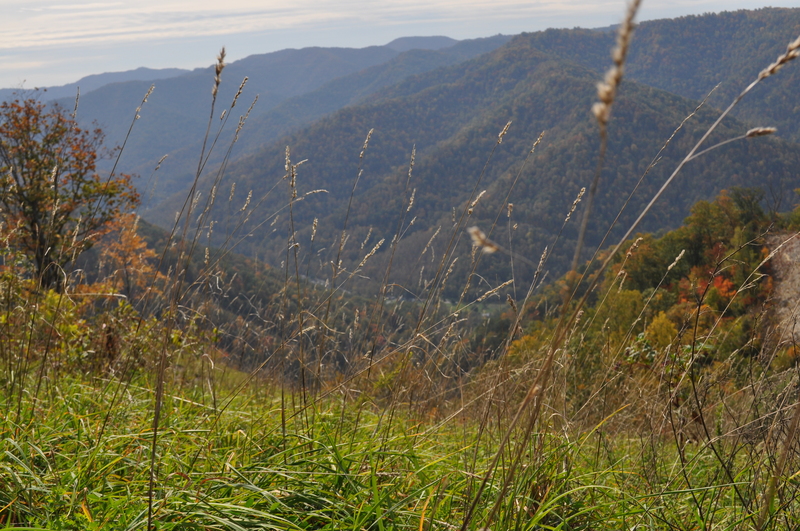 As we drove north through West Virginia and Ohio, I was both excited and afraid of the crash course in Appalachian environmentalism I knew I would receive. We spent our first night at the Olney Friends School, a tiny Quaker boarding school in Ohio. 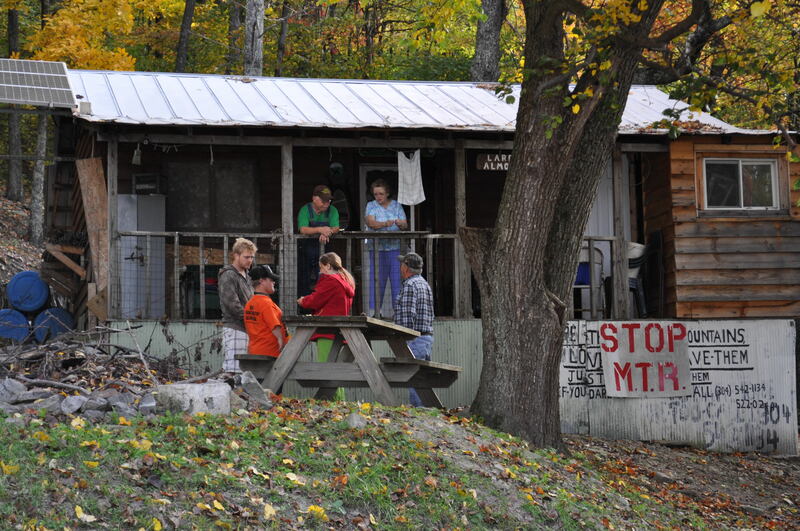 The next day we visited the nearby Raven Rocks community; the community was founded in the 70s by 19 schoolteachers who wanted to save a mountain that was slated to be destroyed by coal mining. Here, we met the remaining members and discussed methods of sustainable living. That night, we drove south to West Virginia and camped in the New River Gorge. It was incredibly beautiful to camp next to the river, though passing coal trains shook us awake every few hours. The real adventure began on our third night camping on Kayford Mountain. We set up our tents in the yard of Larry Gibson and his family. Gibson, a tiny, elderly, and moderately toothless fellow, is one of the forefront activists in the anti-mountaintop removal (MTR) movement. Shortly after climbing the unpaved mountain in the Salem bus, we took a short walk to look down from one side of the property onto a strip mining site. 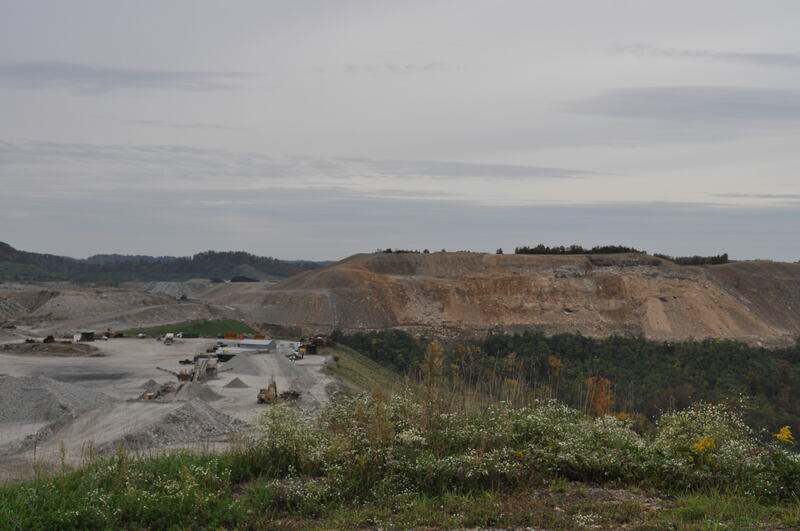 This was the first time our group, many of whom are passionate environmental activists, had seen mountaintop removal in person. Before our eyes was a lunar landscape of destruction, shocking in its juxtaposition to the blueness of untouched mountains against the horizon. We saw rubble; the mountains had literally been bombed to pieces for the coal underneath. I was flabbergasted. These were the Appalachians with which I’d grown up, whose shadows I had worked under, and whose precious resources my own great-grandfather had mined before MTR. I was infuriated and heartbroken. I wanted to cry and throw rocks and curse at mining companies and the little lights of other MTR sites that flickered in the distance. That night, I concluded that mountaintop removal was evil. The next day, as we explored the other borders of Larry’s mountain, we saw more. It made me sick to photograph the moonscape, but I took picture after picture. Out of morbid curiosity and disgust, I found that I could not look away. When the time came for us to leave, I had to stop myself from running out onto the hellishly flat, treeless “mountain” to write inflammatory words in huge letters in the dust. Our group felt empowered by what we had seen, and on the way back we discussed all the things that we could do to make the destruction stop. We visited Pritchard Mine, a comparatively “small” surface mine, on our last day. Rocky, our host and the mine’s manager, was a jovial, likable guy. If nothing else, Rocky and the other miners, whose weathered faces were so similar to those of my father and brother, humanized strip mining. When he talked about the miners, Rocky’s words seemed caring and fatherly; when he spoke of the land, he displayed a certain tone that I associate with arrogance. He had an answer for all of our questions, of course; he’d clearly been prepared by dealing with much more educated, intense environmentalists than ourselves. Rocky took us to see an “award-winning reclamation site.” It had been almost ten years since the particular area had been actively mined, and he wanted to show us how “natural” his company had made the post-mining scene look. But it was not natural– why were all of the trees so young, and since when did topsoil consist of coarse rock fragments? We didn’t see a single animal. Rocky then spoke of the “alternate agendas” of people like Larry Gibson, whom both the anti-MTR movement and our group of students had come to see as a hero. That disturbs me, even now. What did Rocky mean? Does he not also have his own agenda? What does this mean to us, or to a person who wants to be involved in the movement? Is there any purity in politics? What can we hypothesize of their post-coal future? This is something upon which I must meditate. The trip made me question my own role in the injustices we impose on Earth. 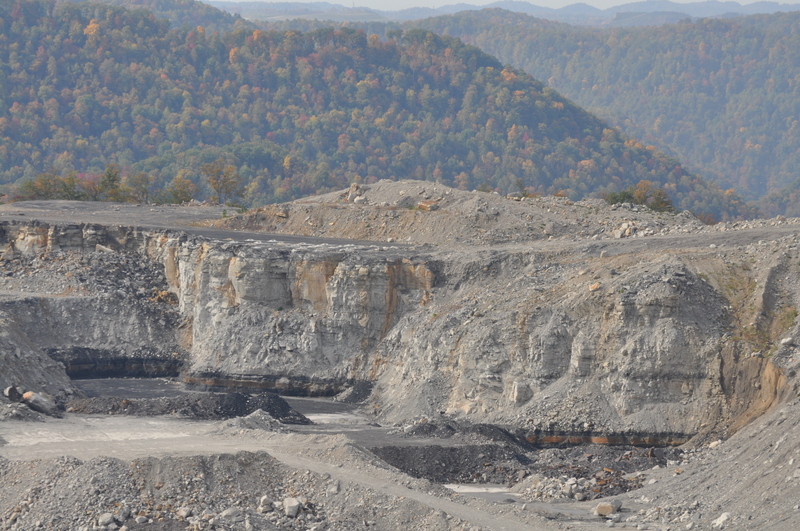 A picture of a coal-free future is daunting, but it is not distant. The time has come to choose: do we work for a future without coal, or continue to create an Earth that holds no future at all? Nobody we asked could offer us a solution, so we are left, as young, passionate activists, to construct our own. I am from West Virginia and agree, the plight of those in the area is very tragic. Proof of what happens to the little people after the corporations pull out and move on. 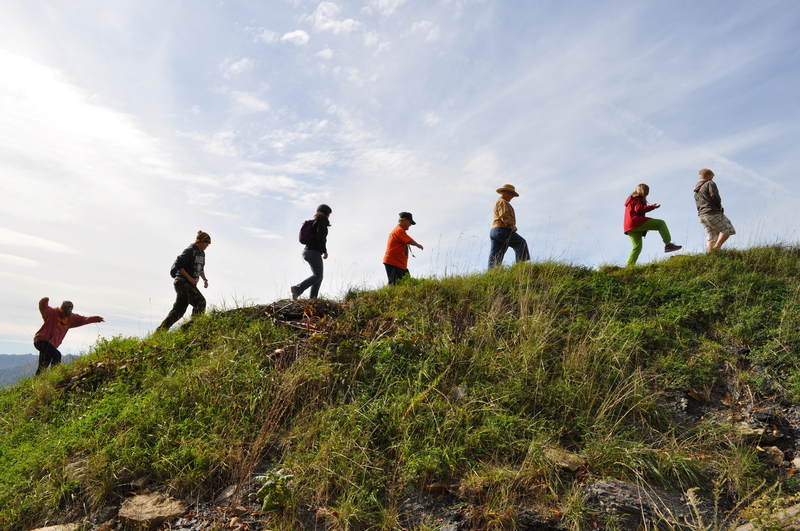 I thoroughly enjoyed your account and photos of the field trip to Kayford Mountain and other areas. I have been to Kayford Mountain and witnessed the destruction. 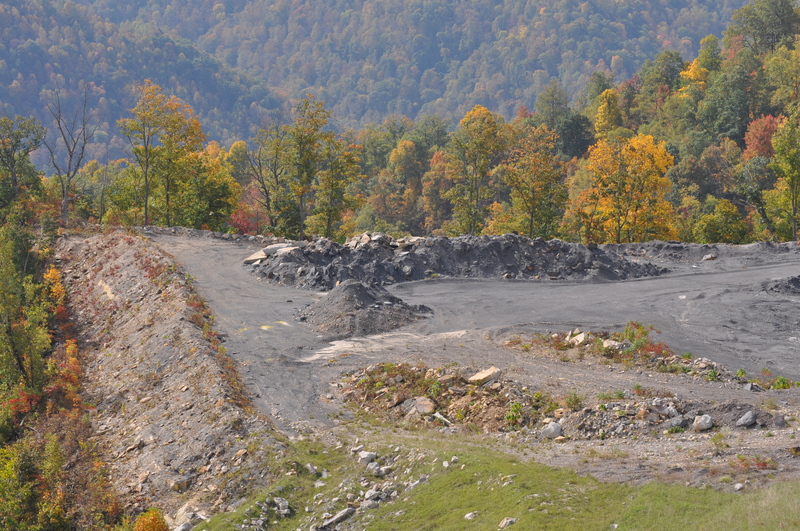 Larry Gibson’s efforts to ban mountain top removal are remarkable. Thank you for posting your observations.